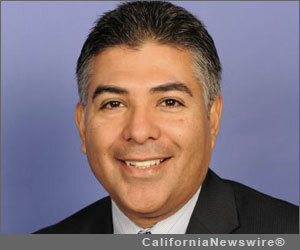 SAN FERNANDO VALLEY, Calif. /California Newswire/ — As a follow on to his work shops in January, U.S. Rep. Tony Cárdenas (D-San Fernando Valley) will continue hosting a series of health care workshops in the Valley during the month of February, 2014. The new slate of workshops were announced following a successful set of January dates that helped dozens of Valley residents sign up for health insurance. Each workshop will allow area families to learn about the options available to them under the Affordable Care Act, including learning about insurance policies that can be purchased through the Covered California health insurance exchange. Families will also be able to speak with certified counselors, who will be able to pre-approve health insurance applications. Saturday, March 1, 10 a.m.-1p.m. — Pacoima City Hall, 13520 Van Nuys Blvd., Suite 209 Pacoima. Congressman Tony Cárdenas represents California’s 29th Congressional District.